Looking for someone to blame over the whole XBLA GoldenEye fiasco? Try Nintendo! 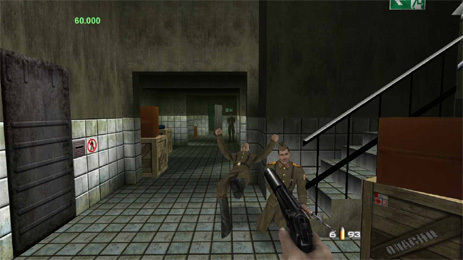 Sources within Microsoft who were very close to the project (and who also pointed us towards the above, alleged screen) have told us the game was canned not because of disagreements between the two parties, but because of Nintendo boss Satoru Iwata, who believes that, as a title which appeared on a Nintendo console, GoldenEye shouldn't be made available on a competitor's system. This despite a proposed deal from Microsoft that would have seen not only GoldenEye released on the Virtual Console, but other, unspecified Rare games (Jetpac? Sabre Wulf?) as well. How very upsetting. Before you set your tasers to "hate", though, remember, this is coming from one side of a two-sided story.